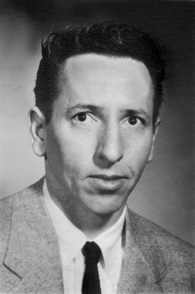 James Francis Hannan (1922 – 2010) joined the Department of Mathematics at Michigan State University in 1953 following graduation from the University of North Carolina. He was one of the five original members of the Department of Statistics when it was created in 1955. In his long career, Jim published important and novel findings in statistics and game theory, directed or co-directed twenty graduate students to their PhD’s and helped countless others. He particularly enjoyed the challenge of creating concise proofs; in reading a proof in Jim’s thesis, Wassily Hoeffding is said to have remarked “What is this…a telegram?” For more about the life of James Hannan, see A Conversation with James Hannan, Statistical Science, 25, No. 1, 126-144. Jim was in his office practically every day of the year and was most willing and anxious to help graduate students and fellow faculty. In the same spirit of generosity, his wife Bettie has chosen to honor her husband’s legacy with a gift establishing an endowment to support visiting scholars.